Six games into spring practice, inside linebackers coach Barrett Ruud isn’t worried too much about a depth chart. That being said, there are a few players that have separated themselves a bit from the rest of the pack. When asked if senior Dedrick Young, junior Mohamed Barry, sophomore Avery Roberts and junior college transfer Will Honas were the first four, Ruud offered confirmation. Young is a three-year starter, Barry and Roberts served as the primary back-ups last year and Honas was handpicked by Scott Forst, defensive coordinator Erik Chinander and Ruud to replace departing starter Chris Weber alongside Young. Young is the team’s leading returning tackler by a significant margin, totaling 80 stops last season which is 32 more than the next-highest total. Young has long been praised as a reliable linebacker who is always in the right spots, but he hasn’t produced many negative plays with just four tackles for loss, one sack and one quarterback hurry last season while playing in all 12 games. Ruud also praised Roberts’ intellect. The true sophomore worked with the second unit on defense all season long but only got a few snaps during games; most of his action came on special teams. As for Honas, he’s making the transition from junior college to Division I football while also learning Chinander’s defense like the rest of the Huskers. As for Weinmaster, he’s a walk-on who saw some action at outside linebacker after injuries ravaged the position for the Huskers. 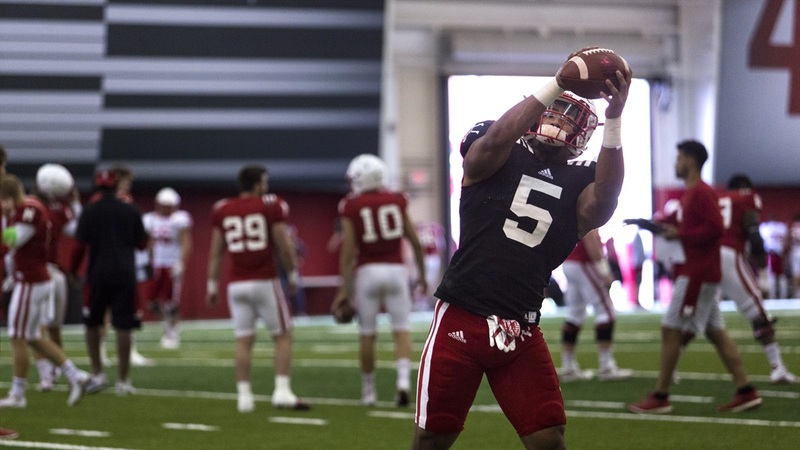 While Ruud said he’s seen four players take an early lead, he’s hoping to build even more depth than that in large part because of the number of plays Nebraska’s offensive scheme is going to produce in a game. Comfort for Ruud comes from players showing both fundamental mastery and knowledge of the scheme. Everyone in that room needs to be ready.